It was in 1955 that the Sacred Congregation of Religious mandated the formation of a permanent organization of all religious communities of men in the Philippines in the person of their major superiors. Membership was mandatory for all religious orders and congregations, and and societies living in common without vows. The purpose of the association was to create a closer collaboration among the member groups. It is not surprising that the Sacred Office should mandate such an association. The plague of disunity and hatred was concretized only a decade ago during the Second World War. The division that is created and the consequent economic, moral and political problems called for a witness of unity in the Church. Pius XII made his call official as early as 1943 with his encyclical Mystici Corporis. The Church must open wide her windows and be of service to the world. The 1969 proceedings were a kind of self-evaluation for the role of the religious in the present situation. “Adaptation and Renewal: Their Role in Promoting Relevance of Religious life in the Philippines Today” was the theme for the year’s convention. One of the results of the convention, and of the greater cooperation with the women congregations was the formation of the Rural Missionaries of Social Action. This was an intercongregational project launched in 1969 which functioned as an arm of the AMRSMP for its apostolate among the rural poor. The AMRSMP, together with the AMRSWP were early dissenters and fought courageously for the restoration of the democratic process. From the 1973 national survey of the effects of martial law, numerous task forces were created to fight dictatorship. The resistance resulted in an increasing persecution of church people. This prompted the AMRSMP to create the Justice and Peace Commission. The tension between the religious and the government over human rights and freedom gave birth to varied and new ministries in the Church. Worth mentioning would be the formation of BECs. The formation of basic Christian communities for various sectors was carries out by joint commission of the men and women religious. This remained a top-priority well-over half of the 80s. The self-consciousness of the association regard to its mission was officially recognized with a shift from ad intra to ad extra in 1981. The role of responsibility of the Philippine Church to the rest of Asia was highlighted with the visit of John Paul II that year. With culmination of the tension between the Church and the political regime in the 1986 People’s Power Revolution, the much-needed self-evaluation, which had to give way to the more urgent needs of the country in the previous two decades, was realized. With a mellowing of the tensions that had existed particularly during two decades of martial law, the AMRSMP found time to reflect and reflect on what had been done with a view of improving their service and making relevant the preparation for mission. The role of the religious superior was clarified in 1984. 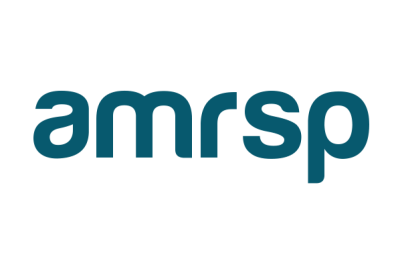 The role of religious in Church and society as practiced was subjected to an evaluation utilizing the AMRSP mission statement in 1987. Recognizing that the Church’s nature is mission, the preparation of the religious, both those in on-going formation and those facing the difficulties of aging and chemical dependency was looked into in 1989 and 1990. Just as Vatican II provided the impetus for the Church to make a self-critique of herself and adopt the Church to the modern world, PCP-II provided for the contextualization of ecclesiology. In 1992, the implications of PCP II with the necessary shifts in the understanding of religious life was considered. The following year as a necessary consequence, the challenges that PCP II posed for the religious was responded to by its implementation both in formation and ministry. The 1990’s is a preparatory decade for the Third Millennium and the Centenary anniversary of Philippine independence. If the 80s were years of reflection, the 90s are years of visioning the future and thus preparing the association to harness its members to be better prepared to face the demands of the global village. In 1995, the vision focused on its mission to the world. It is no longer possible to remain myopic in responding to the challenges of a fast-paced world. The association’s thrust in mission was to be of service to the world, a thing that had been in its consciousness since Vatican II’s Ad Gentes. The task and mission of the Church to the world, when properly understood, should not erase the Filipino identity and roots. If the religious in the Philippines could contribute something to Church mission, it is precisely that which is Filipino. Hence, at the centenary of Jose Rizal’s (1996), his challenge for the religious of today was deliberated on.